Miley Cyrus has been a fixture in popular culture for over a decade now, and she’s still only 25 years old. She rose to instant superstardom with her starring role in the Disney Channel show Hannah Montana, and her subsequent music career. She’s had numerous hits during that time, including “We Can’t Stop” and “Wrecking Ball”. While she’s firmly a pop star now, Miley was originally a country artist releasing hits like “Party in the U.S.A.” and “The Climb”. Every now and then, she dips her toe back in the country pool, and her cover of the Dolly Parton classic, “Jolene” is proof of that. The song was released in December of 2012 on Cyrus’s YouTube channel as part of her “Backyard Sessions” series. It has amassed over 144 million views, and 1 million likes since it’s release. 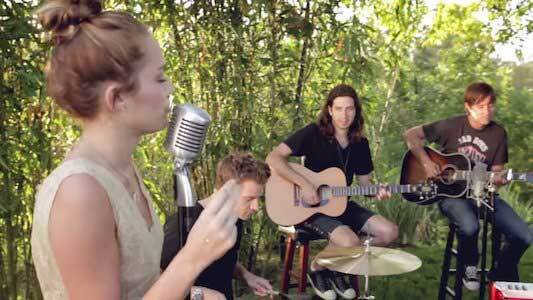 The video takes place in Miley’s backyard in front of some bamboo trees. Miley has always had an incredible voice, one that's both powerful and soulful at the same time and has a pleasing country twang. She is a perfect fit for this song, and her vocal qualities are very similar to that of Dolly Parton’s. The lyrics and vocals for this song speak for themselves, so it makes sense that her music is arranged to be understated, but the effect from the use of brushes on the drums gives the song a nice sense of pace. The addition of rhythm guitars and an upright bass also firmly keep this song in the country style. This cover is definitely worthy of being looked at in the same way as the original Dolly Parton recording. Miley sings with such passion and soul on this cover. The music video keeps it simple which fits directly with the arrangement and vocals of the song. 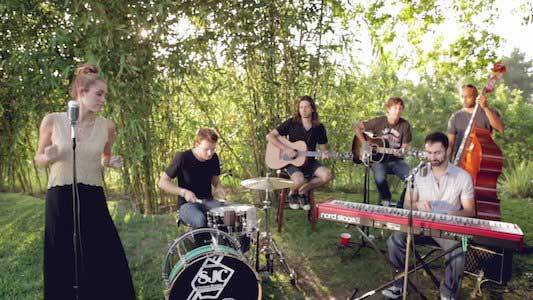 The video is set in what we assume is Cyrus’s backyard (hence the name “The Backyard Sessions”), and features Cyrus and her band playing on a pristine lawn. Both rhythm guitarists Jamie Arentzen and Jaco Curacao are wearing chucks in the video, as is the keyboardist. Miley spends the video singing into a retro microphone, and you can definitely see her passion in the way she belts out the song. It’s a perfect video for the song, letting the actual music tell the story of pain and heartbreak. Both guitarists and the keyboardist in Miley’s band wear chucks in the video.